Trinamool Youth Congress workers in Rathbari area of ​​Petala Gram Panchayat of Dinhatta has raised charges of assault. 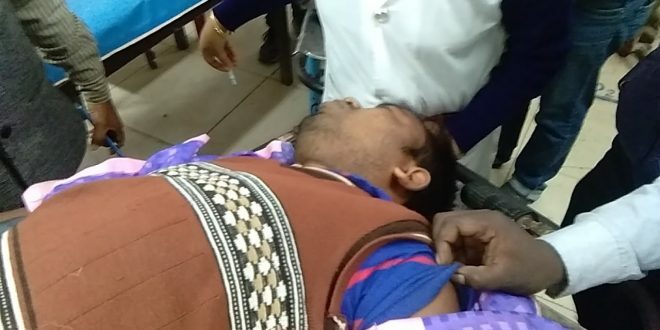 Five Trinamool Youth Congress workers were injured in the attack, and have been admitted to Dinhatta Mahakma Hospital. It has been known that these people had gone to attend a gathering held in Dinhata city for the Brigade Incorporation, where somebody attacked them in Rathbari area on their way back. Two of the injured are said to be critical. At the same fingers have been raised on the people of Dinhatta-1 number block, Trinamool Congress President Noor Alam Hossein, while they have claimed that all the allegations are wrong. It is to be known that in the meeting in Cooch Behar two days ago, Abhishek Banerjee had warned on the issue of mutual conflict amongst the party members in Dinhatta. 48 hours have not even lapsed and once again allegations of mutual conflict in Trinamool Congress has come out.